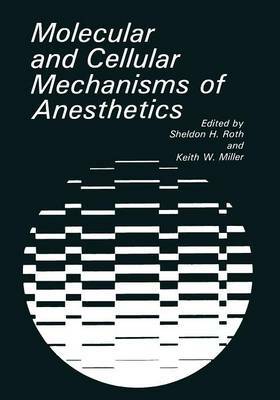 B. Raymond Fink Sheldon Roth and Keith Miller have asked me to record that the Third Conference on Molecular and Cellular Mechanisms of Anesthesia was held in Calgary last May "in my honor. " Such was my dear friends' gracious way of continuing a series that began at the University of Washington, where I hosted two, four, or five previous ones, 1,3-6 depending 2 on how far back one wishes to count. At that, Seattle took up where Paris left off in 1951. These occasions create their own unforgettable memories. This book captures the fine, invigorating ambience of the University of Calgary and the exciting explorations and com- panionship of a gathering in a frontier territory of neuroscience. So, floreant symposia. They have progressively refined the quarry, from pathway to synapse to lipoprotein membrane to receptor and single channel, in heuristic convergences of neuronal physiology, biochemistry, and pharmacology. Nevertheless, the anesthesiologist in me senses a certain disquiet, a certain claustrophobia provoked by the narrow confines of micropipettes. How much more tubular must tunnel vision become before the desired broad view emerges? At present, the advances in molecular neurobiology seem continually to increase the apparent complexity of the total problem and the conceptual distance between the reductionists in the laboratories and the holists in the operating rooms. Happily, what is also growing is the excitement in trying to bridge the gap. Perhaps it would be timely to regard general anesthesia not as a state but as a syndrome.